Twenty-four (24) units consisting of sixteen (16) one-bed 1-bath and eight (8) two-bed 1-bath units. 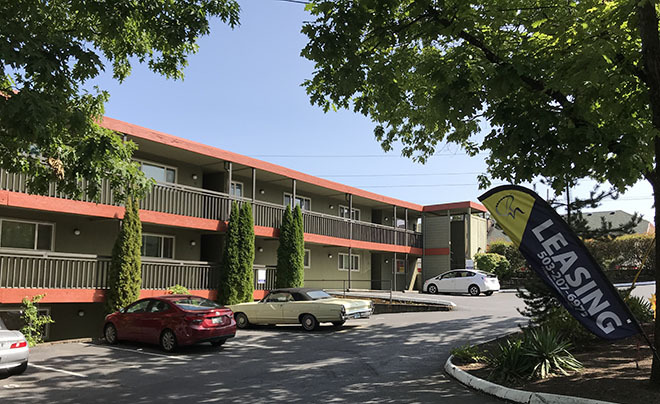 Barbur Place is a fully-occupied, exceptionally well maintained 24-unit community in Southwest Portland. The asset consists of two adjacent buildings with nicely designed one- and two-bedroom units with private decks or patios. Units without dishwashers have been receiving them on turnover and kitchens have recently been upgraded with granite countertops. Significant capital improvements this past year include a new roof, new siding, new cabinets, new appliances, and new carpets and fixtures. Rents currently trail the market, allowing for potential increases and the addition of utility billbacks.